20’s: Make sure you have some good quality protein such as fish, eggs, cheese, tofu or meat with each meal. Protein keeps your blood sugar levels stable and prevents dips in energy. 30’s: Eat more broccoli, cauliflower & kale. They contain constituents known as glucosinolates, which are a group a class of phytochemicals that many believe may reduce the risk of breast, lung and colorectal cancer. 40’s: Eat some fresh berries. Berries are rich in antioxidants that help to protect against the damaging effects of free radicals that accelerate ageing. 50’s and more: Pre & post menopause make sure you include lots of calcium rich foods in your diet to help prevent bone loss due to declining levels of oestrogen in the body. Make sure that as well as dairy you do include other calcium rich foods such as almonds, dark green leafy veggies, tinned salmon, sardines and tahini. 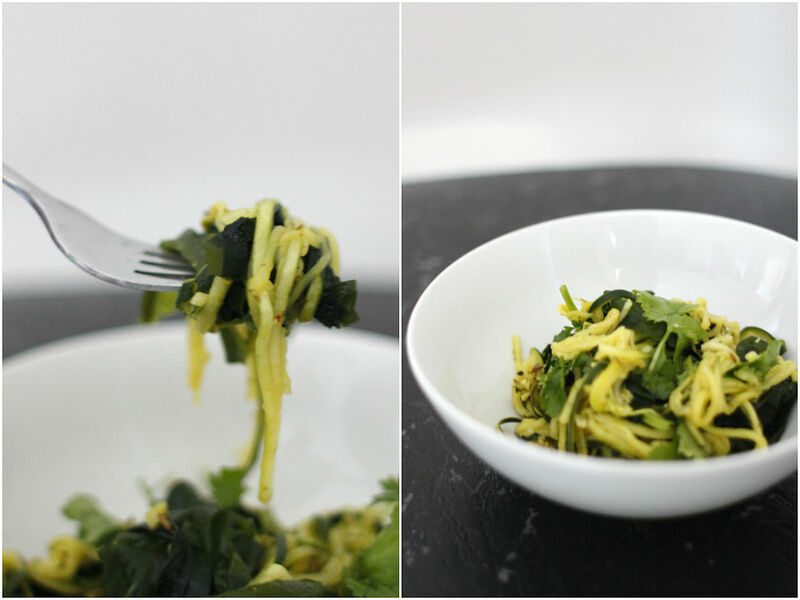 Wash the zucchini and make noodles with a vegetable peeler or spiraliser. 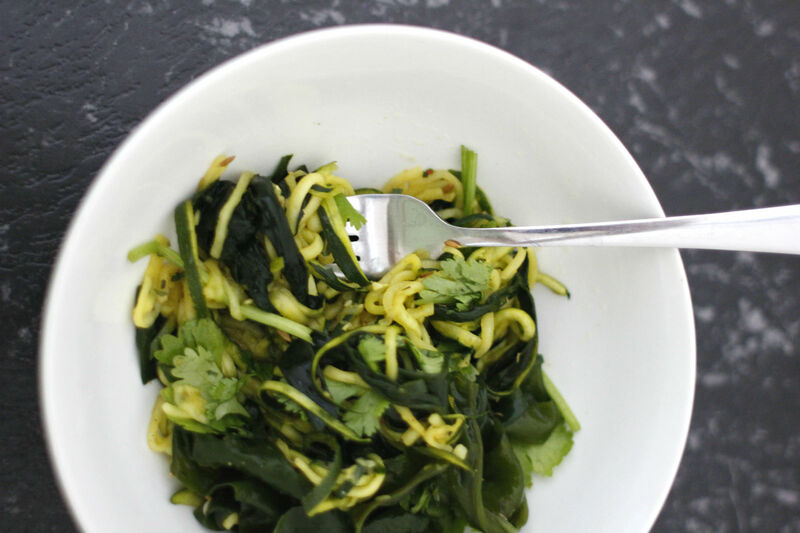 Soak the dried seaweed in warm water for 30 minutes, rinse, drain and roughly chop. Wash the coriander and roughly chop. For dressing, mix all dressing ingredients in a small bowl and stir well. Add all ingredients into a large mixing bowl and toss in a dressing. I find it is best to make this salad an hour before serve so that the resting time allows to develop more flavour. I like my dressing to be refreshing and simple here, but if you feel like something creamy, you can use cashew cream, avocado or tahini dressing.